1. Type of work: Choose a type of work that will give you a sense of accomplishment (something you really enjoy doing). 2. Security: Having a career that will always be needed and recognized. 3. Company: Research the company and see how employees are treated. 4. Advancement: Make sure there is the opportunity for advancement. 5. Coworkers: Having happy coworkers is essential to job satisfaction. 6. Pay: Will you make enough money to survive and are you paid fairly in the market. 7. Supervision: A fair supervisor will always help you to advance and will assist with feeling job satisfaction. 8. Hours: Working hours that allow you enough time with your family, friends and extracurricular activities. 9. Benefits: Having benefits that work with your lifestyle will ease the financial and stress burdens. 10. Working Conditions: Working conditions that are safe, stress free and comfortable are important. It doesn’t surprise me that the most satisfying jobs in America are Management Positions such as Managers in Financial, Sales and Purchasing etc. There is a direct connection to job satisfaction and salary…the greater the salary the more satisfied workers seem to be on their jobs. If you feel you are a strong team leader who enjoys managing large projects and making tough decisions, you might be a good candidate for a management position. There are many different management fields, each with their own set of duties and responsibilities. Description: The CEO’s usually plans, organize, manage and plan strategy for all operational undertakings of the whole company. It is their responsibility to make sure that the company is reaching their objectives. There are many different Chief Executive Officers that work in many different industries. Salary: On average CEO’s earn the highest salaries but they are also required to work very long hours and are accountable for the successes and/or failures of their company. CEO’s earn an average salary of $176,840 depending on the company and the position. Qualifications: To become a CEO you will be required to earn a Bachelor’s Degree in a business related field and complete some practical work. Classes in strategic management, finance as well as organization may also be required. In order to become a chief executive officer you need to also earn a master's degree (an MBA). Employment Rate: The projected percent change in employment from 2014 to 2024. The average growth rate for management positions is 7 percent. General Manager Position is an employee who is responsible for planning, directing and supervising the operations and economic health of a business unit, division, and/or department. The manager is responsible for overseeing and leading the work of a department of people. -	Manages the construction of large buildings, roads, and other infrastructure projects. -	Manages the coordination and overall integration of technical activities including architecture or engineering projects. -	Confer with management, production, or marketing staff to discuss project specifications or procedures. -	Present and explain proposals, reports, or findings to clients. Sometimes called (IT) Managers or IT Project Managers. -	Direct computer-related activities in an organization. Marketing manager is someone who manages the marketing of a business or product. They can be responsible for several services or products, or be in charge of a single product. A marketing manager needs to have an outgoing, extroverted, and spontaneous nature. They direct activities related to research and development, and coordinate activities such as testing, quality control, and assembly. Financial managers are responsible for the financial health of an organization or department. -	create tactics, policies and plans for the long-term financial goals. Financial managers work in many places, including banks and insurance companies. A sales manager is someone who is responsible for leading a team of sales people in an organization. -	Guide the members of his/her sales team and be active and involved in the hiring and firing process. Education: Bachelor’s Degree in Accounting, Economics, Finance, Management, Marketing or Math . -	Needs to be aware of all things that go on in HR and in the company HR-wise. -	Contributes to team effort by accomplishing related results as needed. Salary: The median annual Pastor/Minister salary is $90,900; the range for this position is usually somewhere around $74,000 - $103,000. This can vary depending on the location, education and training. -	generally takes three years to complete a program, and it may take two or three years to complete the candidacy requirements in some churches. Employment Rate: The average salary is $49,900. However, this is largely dependent upon location and denomination. -	Put out fires from burning buildings, houses, forests, cars, etc. -	Serve as first responders in many emergency situations, such as medical, rescuing pets and assisting wounded animals. -	INITIAL RESPONSE TO INCIDENTS: Completing all duties required between the initial responses and arriving at the incident. -	WATCH DUTIES: Receiving incoming alarms, answering phones etc. at the firehouse. -	ON-SCENE COMMUNICATION: Communicates at the scene to guarantee coordination of the incident. -	FORCIBLE ENTRY: Prying open anything required to assist at the scene. -	VENTILATION: Opens or breaks windows as required at the scene. -	SEARCH: Searches area to locate victims and assist where and when required. -	RESCUE: Assisting where and required with ladders, axes etc. depending upon what is required at the incident. -	SALVAGE: Save and stabilize when required. -	CLEAN-UP/PICK UP: Cleans and returns equipment to vehicle. Prepares all equipment ready for the next incident. -	EMERGENCY MEDICAL CARE: Performs patient evaluation and medical care when required. -	EQUIPMENT MAINTENANCE: Maintains personal gear and equipment for safe operation. -	STATION MAITNENANCE AND DUTIES: Maintains house facilities. Including general routine housekeeping chores. -	PUBLIC RELATIONS: Takes part in activities that have an impact on image in the community. Salary: The average fire fighter salary is about $46K per year. Smaller communities tend to make less where larger busier cities can earn considerably more. This position is a 24/7 job and the ability to work well in a team environment is essential. Fire fighters are required to work in a high stress and dangerous situations. Employment Rate: There has not been much released as every community and city differs depending on their need, budget, community size and requirements. 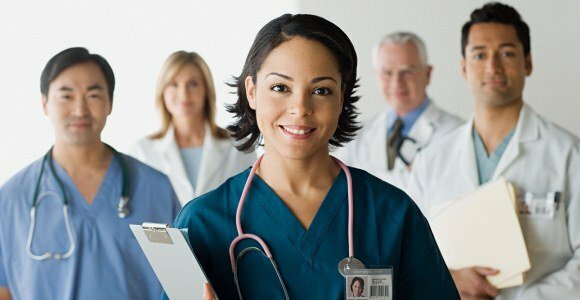 Description: Nursing jobs require much more than treating patients who are sick and injured, they also offer advice and emotional support to families and patients, they take care of a considerable amount of paperwork, they also help doctors to analyse patients and offer advice and supplemental care. Get started by finding a nursing school near you. -	organising staff schedules and workloads. Salary: The average RN Salary is $67,930. 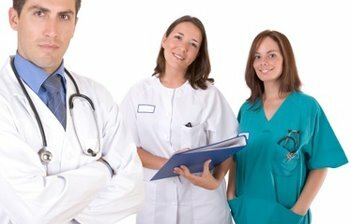 Qualifications: Nursing Degree and any other certifications depending on specialty, medical facility/hospital and state. Employment Rate: Projected growth 2014-2024 is 16% in the Nursing industry. Description: The responsibilities of human resources specialists are mainly recruitment and assignment of employees; their job might range from screening job applicants, holding interviews to carrying out background checks and providing orientation to new employees. Salary: A Human Resources (HR) Specialist earns an average salary of $51,028 per year. Depending on the requirements of the organisation, some positions such as HR Assistant ask for four or five GCSEs, Those looking for an HR Officer Position will have to possess a higher certificate, diploma and/or degrees. Employment Rate: The projected percent change in employment from 2014 to 2024. The average growth rate for all occupations is 7 percent. Childcare workers are mostly considered as nannies and babysitters that tend to children’s basic needs when parents are unavailable. Teacher assistants tend to work in the classroom under the supervision of the teacher. Some duties might include working with students either in small groups or individually, tracking attendance, assisting the teacher to prepare materials and lessons. Preschool teachers work with children who have not yet attended kindergarten. They teach practical subjects and involve students in activities to advance their motor and interpersonal skills. Kindergarten teachers work with young students to teach them the basics of math, science, and reading. They also work to build up the behavioral skills necessary to perform well in school and to get along with others. Elementary school teachers work with students on the basics of reading and math in as well as to prepare them how to conduct themselves in a classroom and working with others. Salary: The average salary is approximately $25,000 but is also highly dependent on location, skills and experience as well as grade taught. If you wish to become a preschool teacher the following are some qualifications required. Keeping in mind that every state may have their own certification standards. Employment Rate: The projected percent change in employment from 2014 to 2024. The average growth rate for this occupation is 7 percent. -	overseeing and supporting the accounting department. Salary: The median wage for this occupation is $36,200. Description: Miners usually work long hours and shifts. Some work many days in a row then go home for a number of days. This mostly occurs for minors that remain in the mining camp for extended periods of time. Salary: Mining jobs pay well because of the hard working conditions. As a result many reach 75 000 $ after one or two years of experience. Good health, psychological strength, and stamina are necessary. You must also have the ability to work long hours and many shifts straight and adjust to long periods of time away from family and friends. The increasing complexity of the mining process and involved technology nowadays requires a much higher level of skills, including computer literacy. As a result, most of the mining groups will more likely hire recently graduated students from high school programs in mining or technical school programs in mine technology. -	environmental reclamation, among others. Description: Traditionally psychologists study and treat individuals with mental and emotional problems; they also work with people to help them change behaviors that are having negative effects on their physical health. -	disasters such as a plane crashes or bombings, psychologists help victims recover from the shock of the event. -	teaming with law enforcement and public health officials, using a data-based method to solve complications such as gun violence etc. Understanding psychology and how to use it is an advantage in any career. Salary: The median annual wage for psychologists around $72,580. The lowest 10 percent earned less than $38,720, and the top 10 percent earned more than $110,880. The median annual wages for psychologist occupations in May 2012 were as follows: $83,580 for industrial-organizational psychologists. $67,650 for clinical, counseling, and school psychologists. -	or in the private sector as counselors, researchers, data collectors and analysts. Most master’s degrees in psychology are awarded in clinical, counseling and industrial and organizational psychology. •	Doctoral Degree — Doctoral degrees in psychology include the PhD, the EdD and the PsyD. Each takes about five to seven years to earn. Although psychologists typically need a doctoral degree in psychology, a master’s degree is sufficient for some positions. Psychologists in independent practice also need a license. Employment Rate: Employment of psychologists is projected to grow 19 % from 2014 to 2024, much faster than the average for all occupations. -	Any repairs that may include diagnosing and fixing problems with any part of a vehicle, such as body work, paint jobs, and the vehicle's computer or electronics. As automobile parts and systems have become increasingly complex, mechanics' job descriptions have begun to change more rapidly, and are also being called Automotive Service Technician. They diagnose problems by using electronic diagnostics in a vehicle's computer or plug-in diagnostic system. They can also detect issues through test driving, sounds, smells and the behavior of the vehicle. They also work with hazardous solvents and most have a huge assortment of tools. Salary: The median annual wage for an Auto Mechanic is around $37,800. If you want to be an auto mechanic, you must be able to handle the highly physical work in addition to possessing the necessary skills and having great attention to detail. As there is huge competition in this field, it would be smart to earn an associate degree and possibly a certification to increase your chances of employment. Employment Rate: Employment of Auto Mechanics is projected to grow 5 % from 2014 to 2024.